An award-winning rapper, Bun B rose to fame as one half of the rap duo UGK in the early 1990’s. During their time together, they released several albums including Too Hard to Swallow, Dirty Money, Ridin’ Dirty, and UGK 4 Life. As a solo artist, the Texas native has also put together a handful of studio albums. Some of his most popular songs to date include Git It (Feat. Ying Yang Twins), That’s Gangsta (Feat. Sean Kingston), and Put It Down (Feat. Drake). His most recent single, Knowhatimsayin (feat. Slim Thug and Lil Keke) was released in March 2018. How successful is his rap career? How much has he earned from his records? How wealthy is the 45-year-old artist? According to various sources, Bun B’s current net worth is around $3 million. Where did he earn the majority of this money from? We’ll be taking a closer look at his career below. How did Bun B Make His Money & Wealth? Born on March 19, 1973, in Port Arthur, Texas, Bun B has been making music since his early teens. More specifically, he and Chad Butler aka “Pimp C” had formed a hip-hop duo called UGK in 1987. With that said, it wasn’t until several years later in 1992, that they released their first major label album titled, Too Hard to Swallow. By the end of the decade, they had dropped two additional albums- Super Tight and Ridin’ Dirty, the latter of which went gold in the U.S. From there, they continued to release new music over the next several years; these include the projects Underground Kingz and Dirty Money. Following Pimp C’s death in 2007, a posthumous album titled, UGK 4 Life was released in 2009. 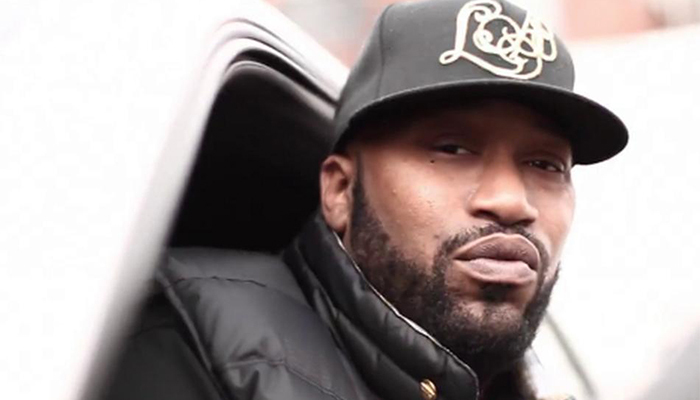 In addition to his work with UGK, Bun B has also enjoyed a solo music career. Two years prior to their sudden disbandment, he released his debut album, Trill in 2005. A commercial success, it gave rise to three charting singles, Get Throwed, Draped Up, and Git It. Since then, he has also come out with II Trill, Trill OG, and Trill OG: The Epilogue, all of which charted on the Billboard 200. In addition to his studio albums, he has several mixtapes to his name including King of the Trill, Texas Legends, Bun House, and No Mixtape. As far as collaborations go, he has worked with many artists over the years including Natalie, Yo Gotti, Paul Wall, Slim Thug, and E-40, to name a few. Some of these tracks include Gangsta Party, Give Me That, They Don’t Know, 3 Kings, and Rep Yo City. For those who’re interested in his live performances, he has a handful of shows scheduled for later this summer in the U.S. For more details, be sure to check out his official website. What other things is he involved with? On top of his music career, he has also acted on a few occasions. Some of his acting credits include Ghetto Stories, Video Girl, and Candy. Not only that, but he has been teaching a course on humanities twice a week at Rice University since 2013. Yes, he has been married to Angela Walls since 2003. Does Bun B Have Any Children? Did Bun B Go to College? Unfortunately, we do not have any information on Bun B’s education history at this time. What is Bun B Famous For? Bun B rose to fame as one half of the rap duo UGK in the 1990’s. In the recent years, he has made himself known as a solo artist with many singles and albums to his name. According to his Twitter account, Bun B currently resides in Port Arthur, Texas, presumably with his wife. We do not have any pictures of his abode at this time. What Kind of Car Does Bun B Drive? Details on Bun B’s vehicle are not available. How Much Money Did Bun B Make Last Year? At this time, we do not have any information on Bun B’s annual salary. Earlier this year, the rapper announced on his cooking series, Trill Mealz that he will be dropping a new album (his first in five years) titled, Return of the Trill sometime later this year. Want to keep up with the rapper? If so, be sure to follow Bun B on social media- you can find him on Twitter at @BunBTrillOG or on Instagram at @TheRealTrillionaires. For the latest news and announcements, you can check out his official Facebook fan page here.